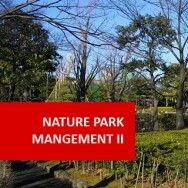 Nature Park Management I course online. Home Study - Distance Learning. Become skilled at managing nature parks! This course has been specifically designed for people working or wishing to work in nature parks and reserves, in managerial or technical positions. Learn about natural environments, and the management of zoos, wildlife parks, nature reserves. Build an understanding of the natural environment and basic ecological principles, and learn a wide range of skills ranging from basic gardening and nature park design, to erosion control, weed control and tree surgery. 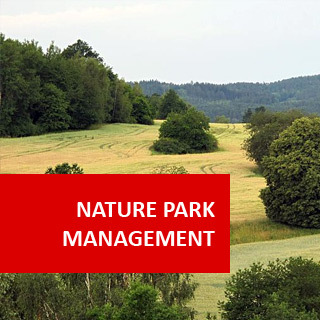 Follow this course up with Nature Park Management ll, to build upon what you will learn in this course. Afterwards, why not consider our Diploma in Wildlife Management, Diploma in Horticulture (Nature Park Management), or Higher Advanced Diploma in Environmental Management? the importance of indigenous vegetation in nature parks. ​​collecting site information; preparing concept plans. 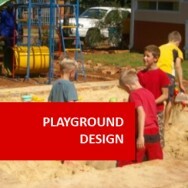 ​​drawing the final plan; construction estimates; designing animal enclosures. soil problems and solutions in degraded sites. Differentiate between different categories or types of nature parks. Determine thirty living components of a specific ecosystem, studied by you. Determine ten non-living components of a specific ecosystem, studied by you. Prepare a labelled diagram to illustrate the interrelationships between at least fifteen different components of an ecosystem. Explain the possible impact of removing two different specified organisms from a specified ecosystem. Explain the potential impact of adding non indigenous organisms, to a specified ecosystem. Explain how different soil characteristics can impact upon an ecosystem. Describe the physical characteristics of at least three different soils, which are of significant to the stability of their ecosystems. 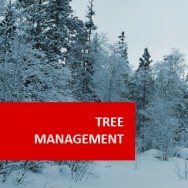 Determine the plant maintenance requirements of a specific nature park visited and assessed by you. Develop guidelines for the care of new plantations in a nature park visited by you. Compare the suitability of three different types of grass cutting equipment, for mowing a specific park. Compare the likely environmental impact of different types of pesticides used on a specific site. chemical spray drift Effluent Pollutants. Prepare a plant collection of sixty plants. Determine categories of landscape developments which are carried out in different types of nature parks, including: -Wildlife Reserves -Zoos -Sanctuaries -National Parks -Forest Reserves -Vegetation corridors. Evaluate the designs of two different sections, of different nature parks, against given criteria. 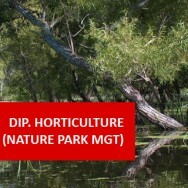 Collect pre-planning information for the development of a site, within a nature park. Compare features of two nature park concept plans. Estimate the cost of construction in accordance with a specified landscape plan. Estimate the cost of maintaining a specified section of a park, for a three month period. Explain the impact of weeds on two natural environments in the learners locality, using examples. Describe two different weed problems, in two different nature parks. Explain five different weed seed dispersal mechanisms, for weed species collected. alternative control methods for a specified weed problem. Select appropriate control methods for ten different specified weed problems. Develop guidelines for weed control, in a nature park inspected by you. Develop a management plan to reinstate indigenous flora on a specific site. Explain the causes of three specified types of site degradation. Describe five different techniques for controlling site degradation. Describe five different techniques for repairing site degradation. Describe degraded sites at two different natural areas, you inspect. Prepare construction details for work to be undertaken in the rehabilitation of a degraded site you inspect. 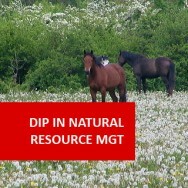 Develop a management plan for a degraded site, in a natural area you visit.